October is Pregnancy & Infant Loss Awareness Month. I miscarried at 7 weeks on December 15, 2015. I’m due with our “Rainbow Baby” any day now, but I wanted to make sure I had a chance to get these words in writing before he or she arrives. I want you to know that I haven’t forgotten you. August 5th, your due date, sort of came and went without us doing anything substantial, but I was thinking about you then just as I am now. You’d be going on three months old at this point… Instead we are waiting for your little brother or sister to be born any day now. As excited as I am to meet the new baby, there’s still a part of me that knows that you should be here too. I know I never got to hold you or snuggle you. We lost you only a few weeks after discovering that you existed, and the ache is still very much present. You are you. A unique creation, made from love whom I never got to meet, but a real person with an eternal soul, You were there, and then you were gone. This pregnancy has definitely helped me to heal, but in no way can this baby ever replace you. 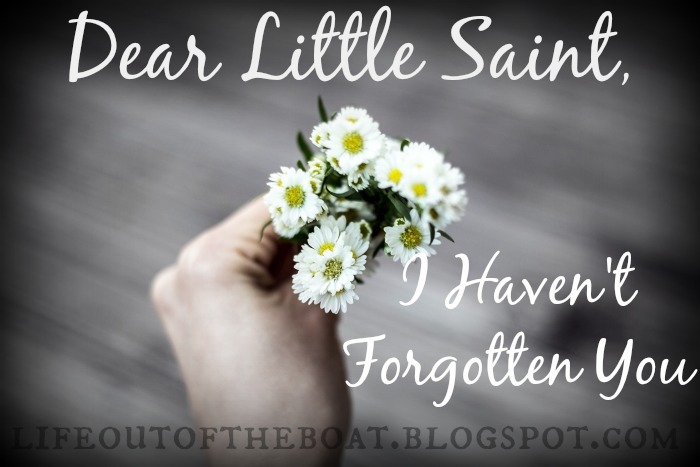 Little Saint, I haven’t forgotten you. Every morning on our drive to daycare your big sister and I say our morning prayers and always ask for the intercession of Our Lady and you, our Little Saint, in the intentions of the day. What a blessing it is to know that you and Mama Mary are taking our prayers and petitions to Jesus for us daily! Thank you for those prayers. You know how much we need them! Before your little brother or sister is born, your Dad and I knew that it was important that you, our Little Saint, had a name. 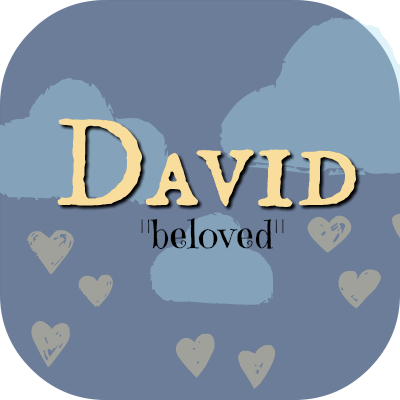 It’s a name that’s been on my heart since that cold night in December when I took my grief to the adoration chapel and God whispered your name. And so, little David, my Little Saint, please know that I haven’t forgotten you and that I love you. I know that we’ll meet each other some day, and that brings me so much joy and peace. Please keep praying for us! We love you forever.